It hasn't happened yet, but it's coming. It's been a long time coming â€“ seven years to be exact. That was about the time when Ali Vegas, then a 16-year-old slick-talking emcee from Southside Jamaica, Queens, started his hip-hop journey. Unfulfilled contracts, major label red tape and industry setbacks kept the kid from pushing his music to the masses and living up to his own expectations. But the end of the rainbow is much brighter than the beginning, so enough with the past. Back to the future. 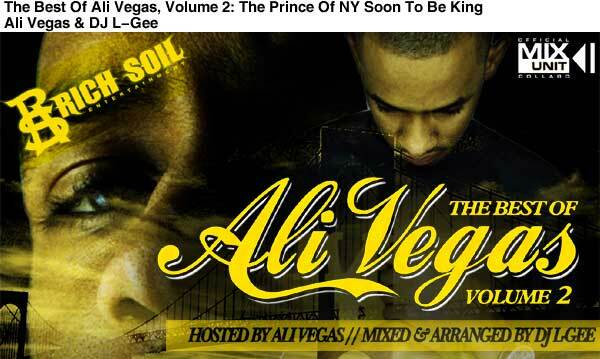 Keeping the streets flooded with music when he couldn't get it poppin' through his label, Vegas earned himself an underground reputation with a variety of mixtapes and mixtape appearances, including a publicized beef with DJ Clue? and Fabolous. Carving a mixtape niche for himself over the years, a buzz is never anything Vegas aka. The Prince of New York has ever had to worry about. With his older cousin, NBA star Lamar Odom, Vegas helped craft the blueprint for Rich Soil Records, a joint venture between the two (headlined by the Queens emcee, of course) . With his label situation solidified once and for all, and his full-length debut album Who Needs A Pen? on the way, Vegas returns his old ways and mixtape habits.